As is my habit when approaching a new project, I like to find subject matter appealing to me. 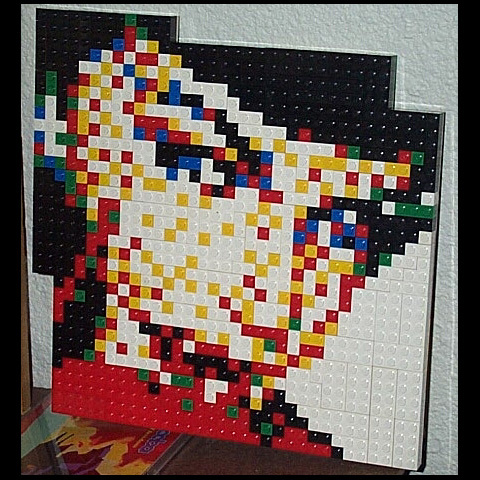 Thus I decided that my first Lego mosaic would be of Betty Page. storage one of these days) & the whole picture would be... huge. The thumbnails will open larger pictures in a new window.